As always, if you wish to unsubscribe, please hit reply and type UNSUBSCRIBE in the subject. Hidden in between all that spotlight was an intense recording session. 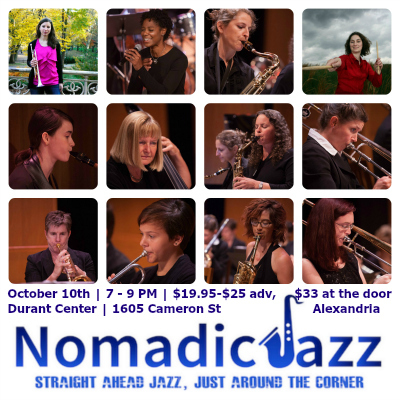 And so, we want to make sure you all know to please come out and hear Nomadic Jazz present “Bullettes and Friends” as our CD release concert on Saturday, October 10th, 2015! CHECK THIS: Anyone who purchases a ticket in advance will get a complimentary copy of the CD! 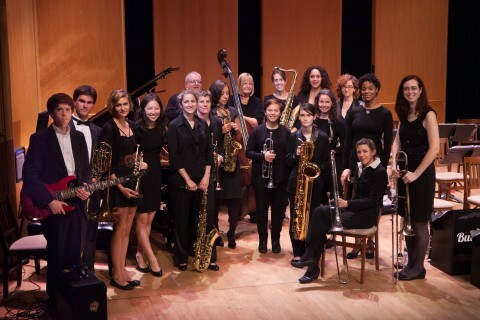 The tickets are here: http://instnt.us/NomadicJazz and range from $19.95 to $25 in advance including a student price. Tickets are $33 at the door. We hope to see you there! Most of all, I am so grateful and proud to get to play this music with these people. We are doing all originals on this newest album, including pieces by Anita Thomas, Leigh Pilzer, Todd Simon, and yours truly! We hope you come out and enjoy this new music with us! Keep swingin’! And please hit reply to let us know how you are doing! Hope to see you at the Durant Center on October 10th!